Welcome to my home! I'm so glad you're here! Here's our house as it looks in the lazy, hazy summer days. 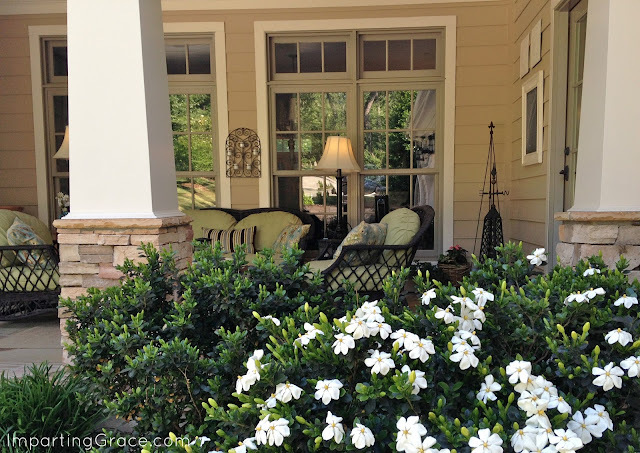 The air outside smells delicious right now--just look at all the gardenias in bloom! Won't you stop and sit a spell on the front porch? 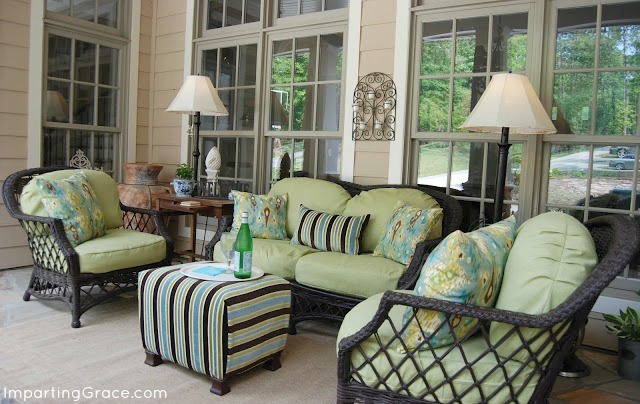 This shady spot is our outdoor living room, and it's a favorite hangout in the summertime. Would you like some iced tea or Pellegrino? To the left of the stairs is my husband's study. 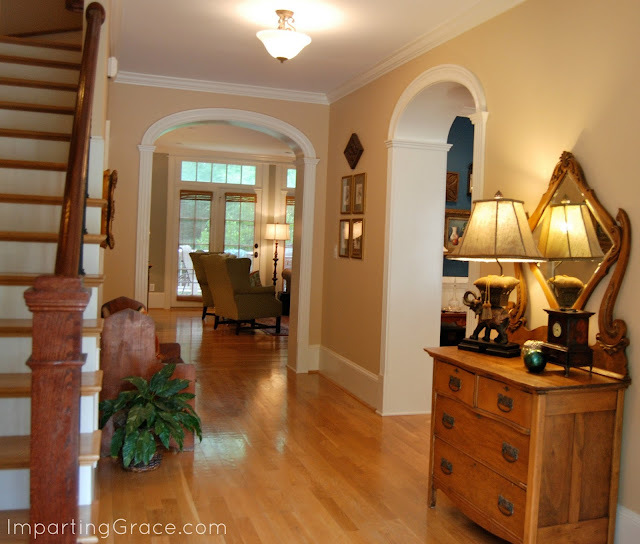 From the foyer you can enter the dining room. 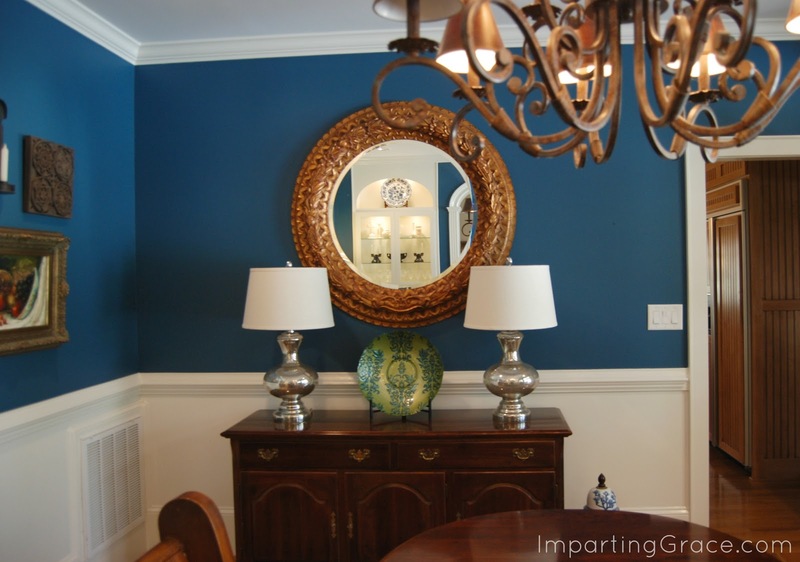 I painted it this deep French blue a couple of years ago, and I just love it. You can read more about that here. I can't wait to get this room finished so I can share it with you. Now come into the kitchen. 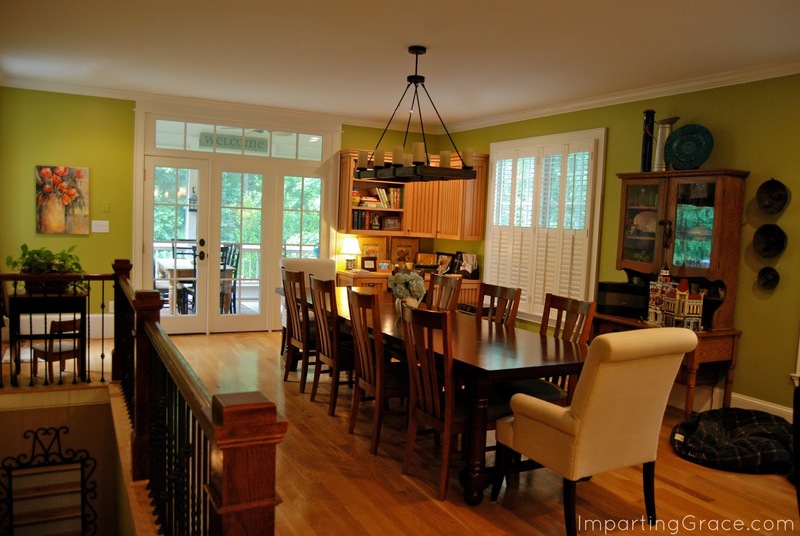 We love this big room! Here's the screened porch. I love this room, especially in the summertime when everything is so green. It feels like being in a treehouse. Now back inside. 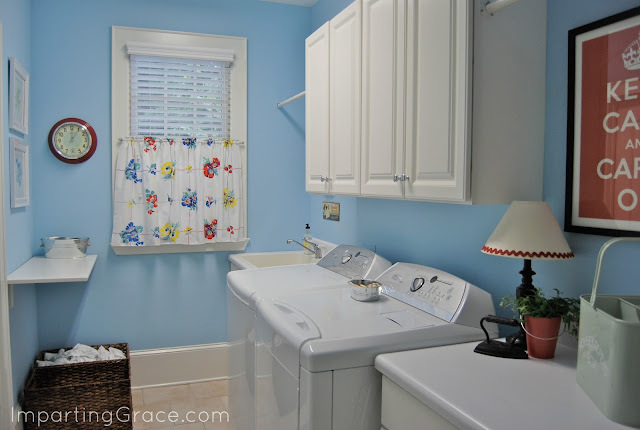 Here's a look at my laundry room, which I just updated. This is a wonderful hangout space for our three boys. Its most important purpose right now is a studio for our youngest son, better known as LegoLee329. You can read all about his work here--he makes video reviews of Lego sets. You can read all about the master bedroom here and the master bathroom here. 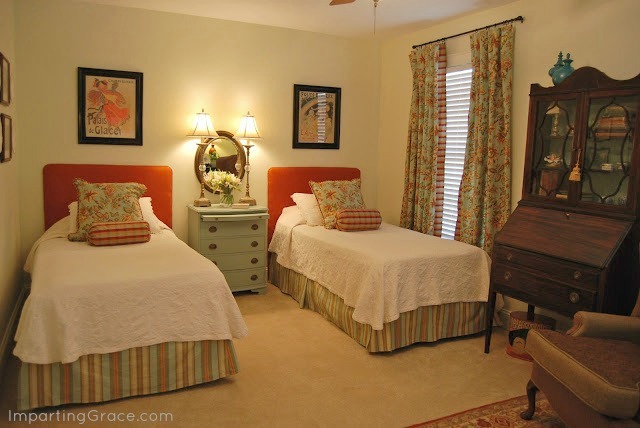 Last stop on the tour today is the guest room, which got an update last year. If you come visit, this is where you'll stay! Thanks so much for joining me for a summertime tour! It's such an honor to have you, and I hope you'll come again. please do share where you got your outdoor lamps. I need one on my porch.. Okay, I think I'm seriously in love with your house. 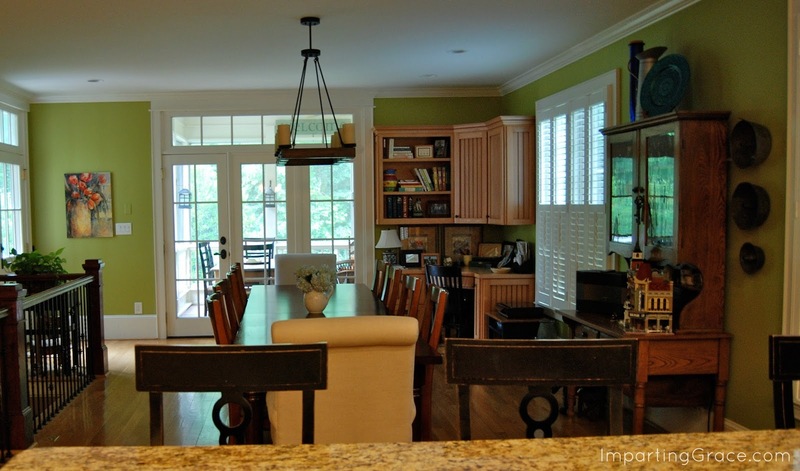 That front porch is incredible, but then I saw the built-in cabinets in the dining room. My favorite! You have such a lovely home. Your home is beautiful! Inside and out. I can tell that you appreciate every detail and care about the warmth of your home. Your home speaks of grace and beauty. I love it. Everyone who enters must be able to feel the air of being made welcome. 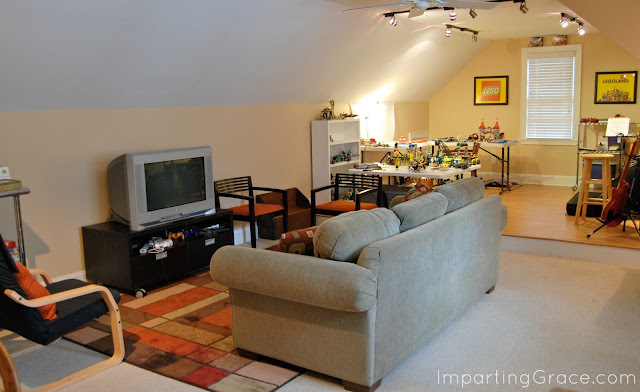 The bonus room makes a perfect kid friendly hangout! Oh Richella!! Every time I see your home I remember the very first time I stumbled across your blog and just fell in love with it and your style...and you too! :-) Is that weird? LOL! It is so beautiful and I loved this tour! I love seeing your home, Richella, each and every time. I always notice something new. Your home is truly warm and inviting. You have such a beautiful home Richella!! Every detail is just gorgeous! Thanks so much for the tour! I hope you are having a great weekend! Oh it is amazing! I am so glad you did this. It makes me feel like I know you better. Beautiful, just beautiful...so calming and relaxing. Richella you have the most beautiful home! It is AWESOME! You have made it look amazing, and yet at the same time it feels warm, and welcoming, and not like a museum like some nice homes feel. Since you are re-doing the living room, I can't wait to see it! I know it will be marvelous! What a lovely space, Richella! I just loved peeking inside your home, Richella. 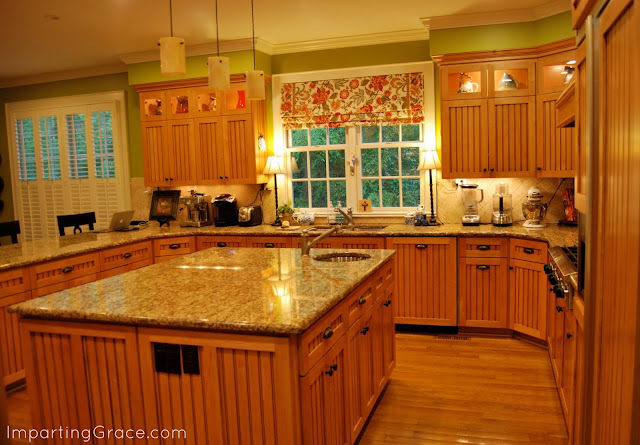 It is one of the prettiest and most welcoming homes that I've seen around blogland! 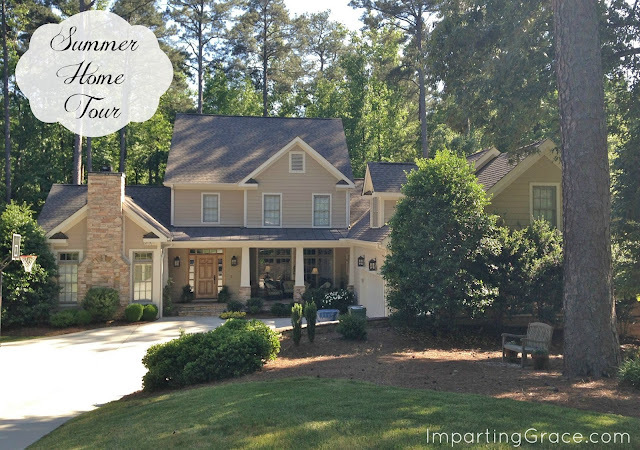 Your home is my dream home! post that you simply made some days in the past? Any sure? 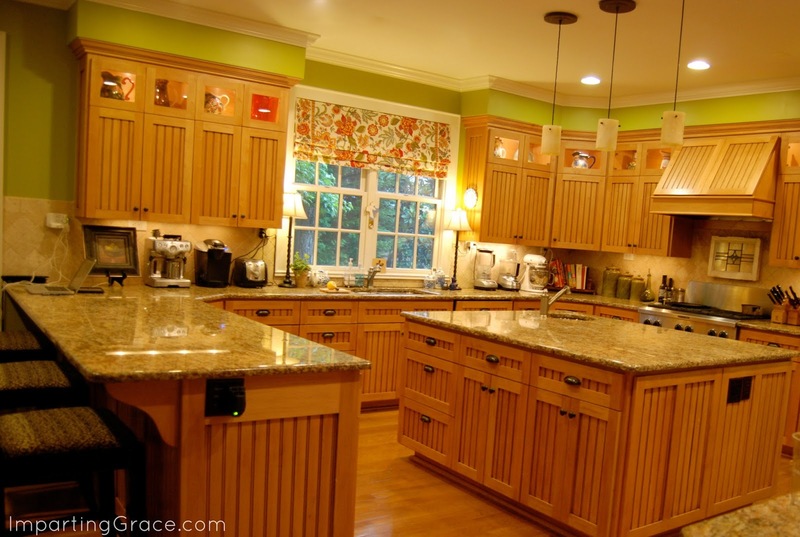 Richella, I have been in love with your home since I first found your blog. 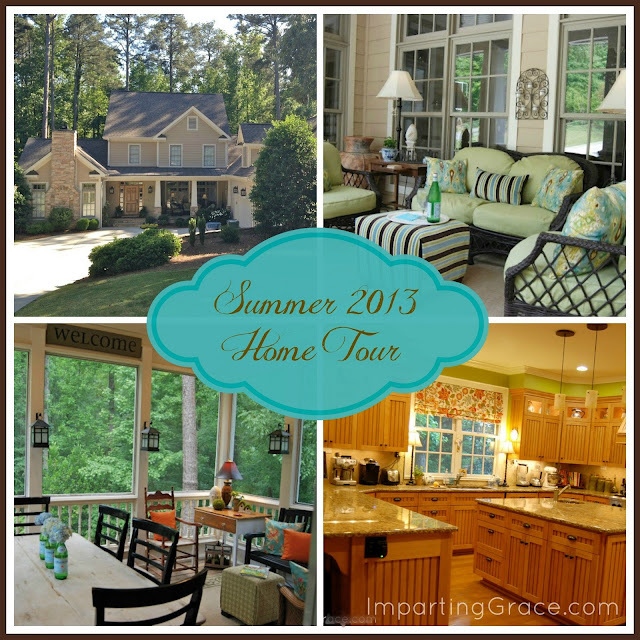 Thank you for sharing the tour of your beautiful home at the Open House party. I enjoy looking at your home every time. Just beautiful. Your home is just stunning. we share similar color choices. Thanks for sharing. I really enjoyed your house tour! It's very inviting and I'd like to feature in on Stylish Feature Friday. Please consider submitting! Thanks so much! Wow! Your home is lovely! What great details and I am drooling over your treehouse sunroom porch. 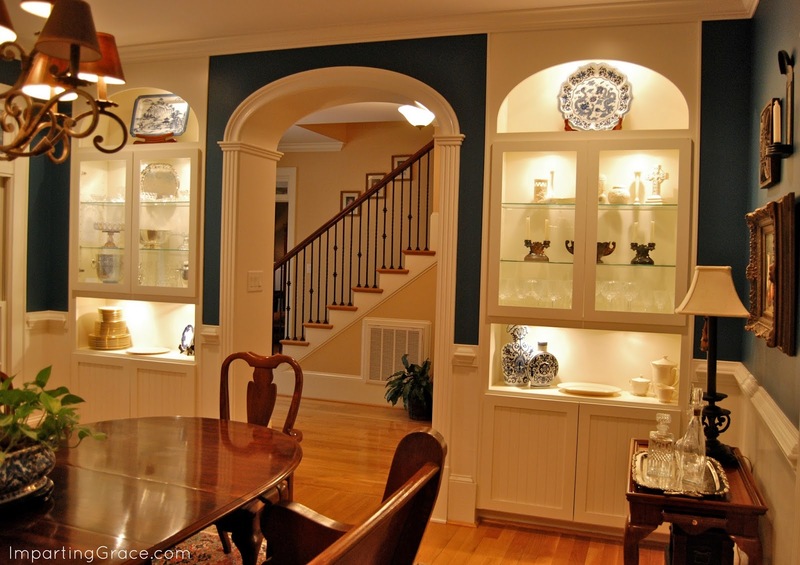 Very homey and classy- a hard combination to get! Thanks for sharing. I'm catching up on blogs and just saw this--don't know how I missed it! Your house is so beautiful. I hesitate to even say this, but it's so much like how I'd do my house. So warm and inviting. I love it! Hi Richella, your home is just beautiful! So glad you shared it. 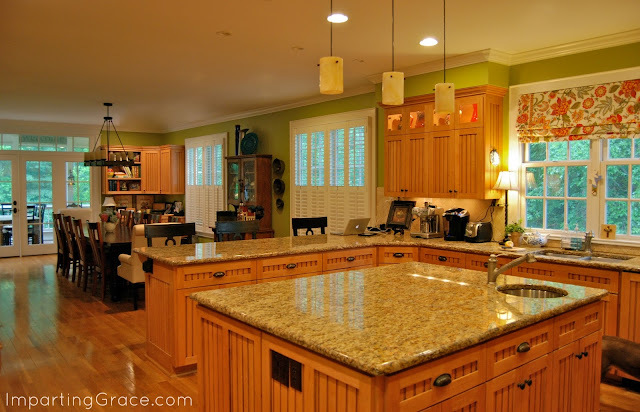 Your home is so beautiful and welcoming, Richella! I love the lay-out from that exterior shot. Great new color in your kitchen and I love the new window treatment. 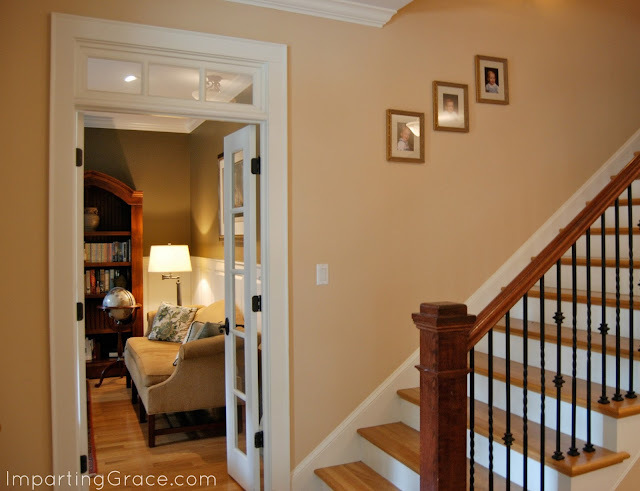 Your home is stunning! We are planning to build a home next year and I am in love with your floor plan. I don't suppose you could share it with me? Or if not, could you at least tell me the dimensions of your kitchen? Thanks so much!